It turned out to be something of a routine afternoon’s work for Team NZ Motorsport during the final round of Asian Le Mans 2017/18, the ‘4 Hours of Sepang’, which took place last Sunday. Certainly, one of our smoothest endurance races, Graeme Dowsett, Will Bamber and our late stand-in driver, Alif Hamdan, combined superbly in the cockpit to get the job completed in the GT Cup class. That P1 result – when the maximum points score it brought in its wake are added to the maximum points we also claimed during the penultimate round, held at Buriram’s Chang International Circuit three weeks – delivered the Drivers’ and Teams’ championship titles in ‘GT Cup’, one of four racing classes that make up this season’s Asian Le Mans Series. This time last year we finished as ‘GT Cup’ championship runners up in Asian Le Mans Series, so to go one better this time around and nail down the two titles was a good way to finish off the season, albeit a ‘season’ that wrapped up just five weeks into the year and that leaves the team free to gear up for our main programme. With the team and our #77 Porsche 997 GT3 Cup both in superb shape following that P1 at Buriram last month, we arrived at Sepang Circuit – our ‘home’ track – with the only big issues we had to resolve being related to the driver roster. Graeme’s regular driving partner in the #77 Porsche, John Curran, was unable to make the race due to business commitments, so Will, who returned to the team in Buriram to bolster the driver line-up for that 6-hour race, was then scheduled to substitute for John at this round – and in fact create the first ever ‘all Kiwi’ driving strength for Team NZ. However, the week before the race Graeme picked up a sprained wrist and broken toe and with doubts lingering over his fitness in the build-up we drafted Alif in late – so late in fact it all came together on Friday evening. 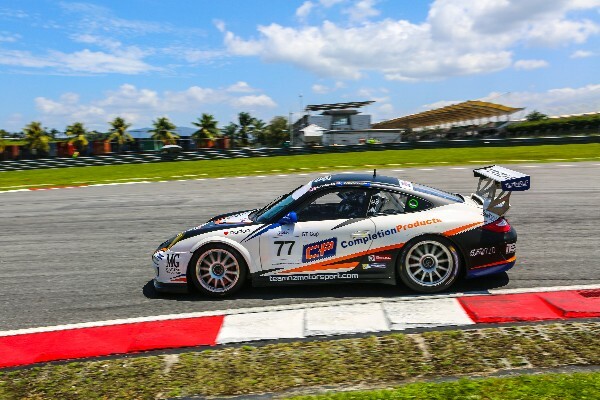 Alif however is a very familiar face at Team NZ, he was part of our driving crew at the Sepang 12 Hours in 2015 where we finished runners up in GTC with this same car. And he really knows the ‘997 Cup’ inside out having also raced this breed of car previously in Porsche Carrera Cup Asia and Porsche Supercup, so, although he was coming off the back of two years away from ‘GT’ level racing, the 27-year-old Malaysian driver was good and ready to go. In the end we hardly needed to cover the bases as Graeme shrugged off the pain to deliver pole during last Saturday’s end-of-afternoon qualifying session and he started the #77 Porsche 997 GT3 Cup in Sunday’s 4-hour race. That opening stint went like clockwork before the experienced New Zealander handed over to his young compatriot Will for the second hour, Alif stepped in for the third hour and then Graeme was back in the cockpit to wrap everything up in the fourth and final hour of the race, crossing the line a couple of minutes after 1700 with the car having clocked up 101 laps on what turned had out to be a very hot and dry afternoon in Sepang, temperatures having reached the mid-30s degrees. The drivers got the job done superbly and they were backed up by a faultless performance from the crew in the garage who prepared a car that was ‘ready to race’ and backed that up with slick pitstops all afternoon. Having joined Asian Le Mans Series at the halfway point in their calendar, we’re delighted to have nailed down an important title so early on in the new year and that sets us up perfectly for our main programme of 2018. 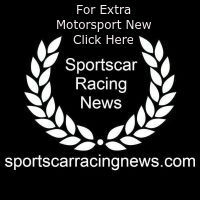 That promises to be very exciting for the team, taking us in a new direction, and we will announce full details shortly. We also very pleased with the support we received this weekend from new team partner MG Insulation & Marine. We have a long-standing relationship with them and we were happy to officially welcome them to the team for this round. MG Insulation & Marine brought more than twenty guests and we greatly appreciated their support and trust they enjoyed the experience – which included ‘Hot Laps’ in our Porsche to allow the guests to get a real feel of what being inside a ‘GT’ level sportscar is all about.